A mangrove sapling at high tide in Kubu Raya, West Kalimantan, Indonesia. Photo by Sigit Deni Sasmito for CIFOR. 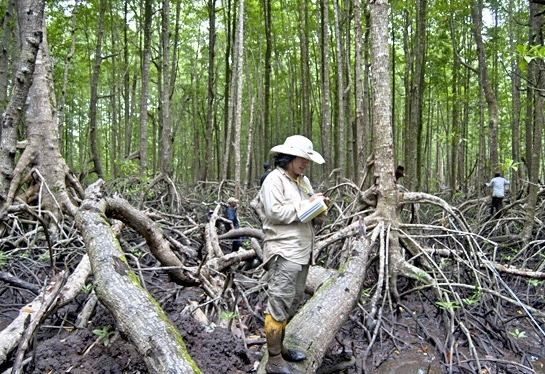 BOGOR, Indonesia – Indonesia’s mangroves are a massive storehouse of carbon and a key bargaining chip for the country in the upcoming climate change negotiations in Paris, according to the authors of a new study published in Nature Climate Change.